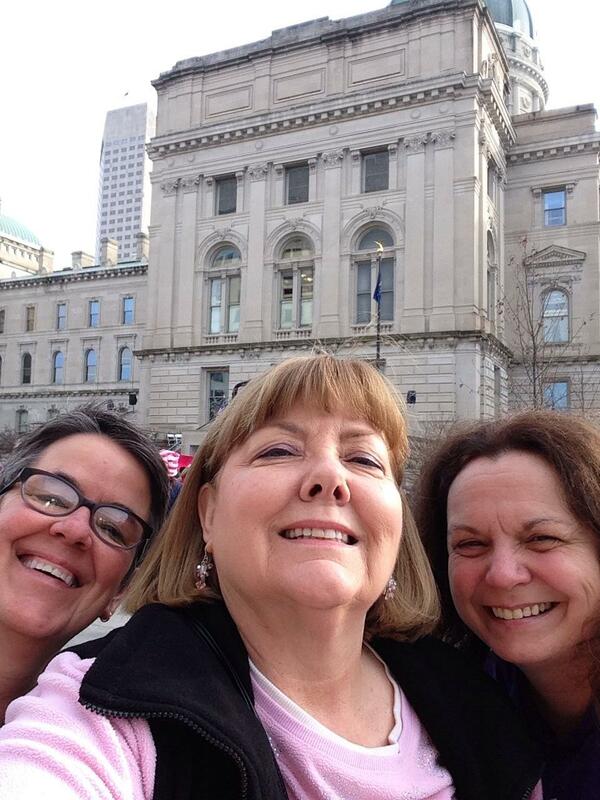 It was the day after the presidential inauguration, Jan. 21, and we traveled two hours south to join other women (and many men and children) in a protest on the outside terrace and walkways of the State House in Indianapolis. 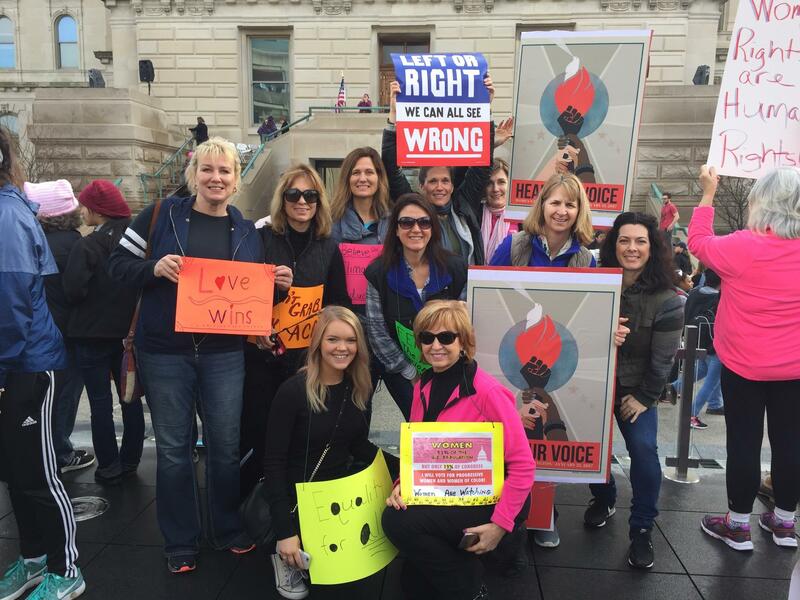 We rallied in support of the main march in Washington, D.C., which drew between 440,000 and half a million people in support of women’s rights and against the Trump presidency. We were joined by hundreds of thousands of supporters from more than 60 countries and at cities throughout the U.S. Turns out I was not alone in my fears for humanity. After a major health crisis, I decided life was too short. I took an early retirement six months ago so I could spend time doing the things I love: hosting and attending get-togethers with family and friends, playing with my grandchildren, writing a novel, gardening, bird-watching, visiting wineries and reading the many books I have not yet had time to read. At the age where I should be in a hammock somewhere — anywhere — warmer than Indiana, kicking back with a margarita (or two) and reading “Sapiens” and “Homo Deus,” I instead find myself forced into the role of an activist — attending rallies, joining women’s groups and calling state and national representatives every week to speak out on various issues. What the heck? I got my first job at the age of 14 and, with the exception of a few short maternity leaves, have been working ever since, at times holding down two or three jobs at a time. I’ve been working and paying taxes for 50 years. And then the Electoral College made Donald Trump President of the United States. I tried, to no avail. For one thing, I don’t drink beer. For another thing, I live in northern Indiana where there’s a very small, climatic window for smelling roses. Turns out I care about the rights of all people, no matter their race, ethnicity or birthplace. I don’t care what their choice of faith is, or isn’t, unless it harms others. (Think Leah Remini and her crusade against the Church Cult of Scientology, yet another cause which, alas, I feel compelled to join.) I care about the rights of relatives and friends in the LGBT community and often fear for their safety. I care about the quality of the air, water and land and protecting this beautiful world for future generations. I care about the Standing Rock Sioux tribe and other tribes who have been disrespected and disregarded for too long. And, don’t even get me started on the First Amendment. You get my drift. There just aren’t enough margaritas or artisan beers to dispel my concerns. Sigh. And, that’s how I found myself in Indianapolis with thousands of others on an unusually warm January day. Regardless of the balmy, springlike weather, I bundled up like I was joining the entire population of Antarctica — 30 people — at their women’s rally. Because, more terrifying than thinking about the future effects of climate change, was the fact that I could not afford to get pneumonia, since the first thing the new president did was issue an executive death order to deep-six my and my husband’s ACA healthcare coverage. “Give him a chance,” the pro-Trump people said. I was prepared to, but he effectively ended any chances within two hours of taking office. That’s when I grabbed my walking stick and started marching.